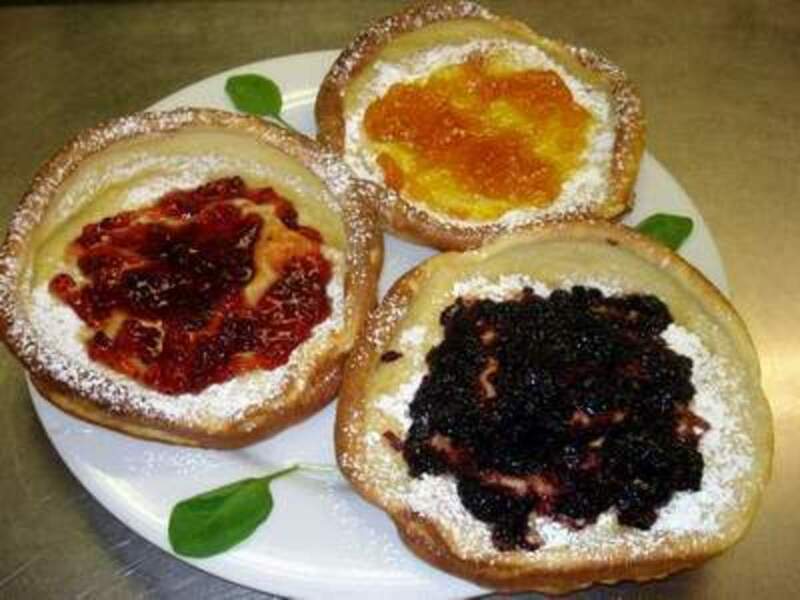 Have you ever heard of Polly's Pancake Parlor in New Hampshire's White Mountains? Food writers have been known to call their pancakes the best in America. We could quibble about whether mine are the best-ever buttermilk pancakes or whether Polly's are. And I will be the first to say that the pancakes served in New Hamshire are very good. I have had them and written about them at Polly's Pancake Parlor. However, this recipe makes homemade pancakes from scratch that are extremely delicious, quite affordable and may well be the best pancakes you ever eat at home! We have been using this recipe and eating these pancakes for years, maybe as many as or slightly more than 15 years. The recipe was originally printed in the Winnipeg newspaper when we lived there between 1992 and 1996 and was reported to be a recipe that was created from the adaptation of several traditional recipes. The only warning I feel that I must give regarding this homemade pancake recipe is that if you have a family, one batch may not be enough. We always make at least two batches; we often make three.Enjoy! Mix all of the dry ingredients together. In another bowl mix together the buttermilk, eggs and butter. Stir the dry ingredients into the wet ingredients, stirring lightly until moistened and leaving small lumps. Griddle should be set at 375 degrees. Grease a skillet or a griddle with oil or vegetable spray. I use a 2/3 cup measure to spoon the batter onto the griddle. If you are adding blueberries, add them to each pancake on the griddle. The recipe says to cook 2 minutes per side; ours take 5 minutes per side probably because we are usually adding frozen blueberries. You can tell when they are ready to flip after tiny bubbles appear and they look a little bit drier. I prefer to cook my pancakes on a griddle. I definitely find it easier to control the heat with a griddle than with a pan and I like the fact that you can cook many pancakes at one time. 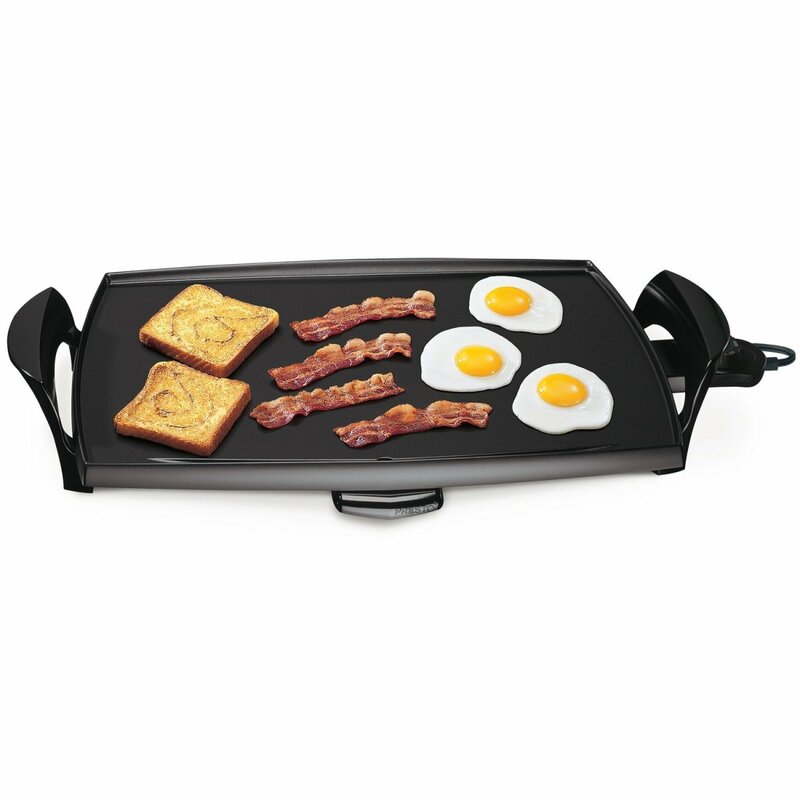 I use a simple griddle like this well-rated one from Amazon, which really is all you need to make pancakes for your family. It measures 22 inches and is a heavy cast aluminum skillet with a nonstick finish, a smooth cooking surface, a grease groove and a removable drip pan. This griddle is entirely submersible once you have removed the heat control. That's another important consideration since there aren't many kitchen chores that I dislike more than cleaning the griddle. Coat your griddle with a spray like Pam and wipe it afterward. Good pancakes don't need much oil. Marguerite Pattern, mother of all 'celebrity chefs' has just finished advising Jamie Oliver on is latest book and now is sharing her pancake recipe with FemaleFirst. Martha's six tips for perfect pancakes. 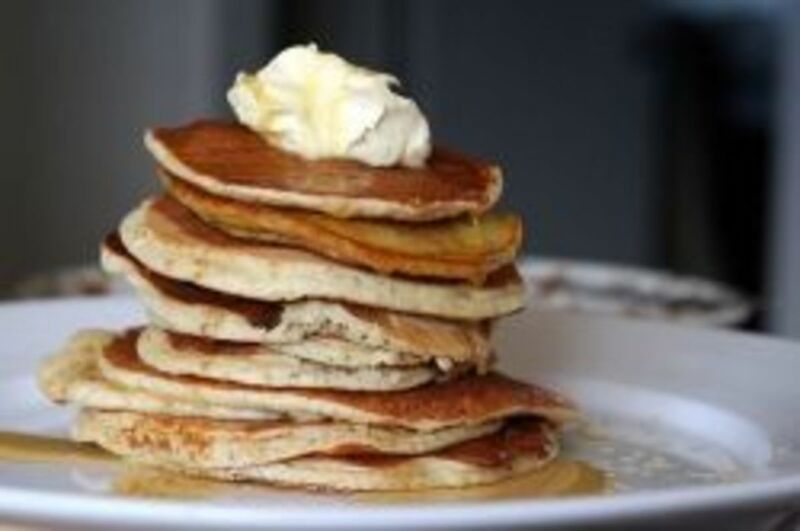 Barefoot Contessa's banana sour cream pancakes as seen on the episode Back to School. Food Network invites you to try this Pumpkin Spiced Pancakes recipe from Sandra Lee's show Semi-Homemade Cooking with Sandra, Episode: Brunch. Buttermilk Pancakes -- A perfect classic recipe from "James Beard's American Cooking." Gordon Ramsay, Jill Dupleix and others get to the heart of the batter with the best fillings, toppings and recipes for Shrove Tuesday. How To Make Pancakes Video on how to make pancakes with Celia Brooks Brown. Gordon Ramsay's buttermilk pancakes with strawberries and white chocolate. These light and moreish pancakes are delicious with all kinds of summer fruits, such as a mixture of strawberries, red and white currants, raspberries and blueberries. Add fruit after putting the batter on the griddle. Well, I wish I could say that every time we eat pancakes, we have real maple syrup but I cannot. Maple syrup has never been inexpensive but over the past year it seems like the price has doubled. However, we always have real maple syrup whenever we have company and it really does make the best-ever pancake even better! From time-to-time, my sister-in-law has taken to giving us maple syrup as a gift. It is definitely a most appreciated gift and I think it is a wonderful idea to give maple syrup to anyone who loves pancakes. UPDATE: We're empty nesters now. We use ONLY real maple syrup now, LOL. Highland Sugarworks Jug 100% Maple Syrup Pure Grade A Organic Dark with Robust Taste 32oz. Highland Sugarworks maple syrup is made in Vermont and is 100 percent organic, Grade A dark amber maple syrup. Every batch is taste and color tested. This product receives excellent Amazon customer reviews which you can read more of on Amazon. 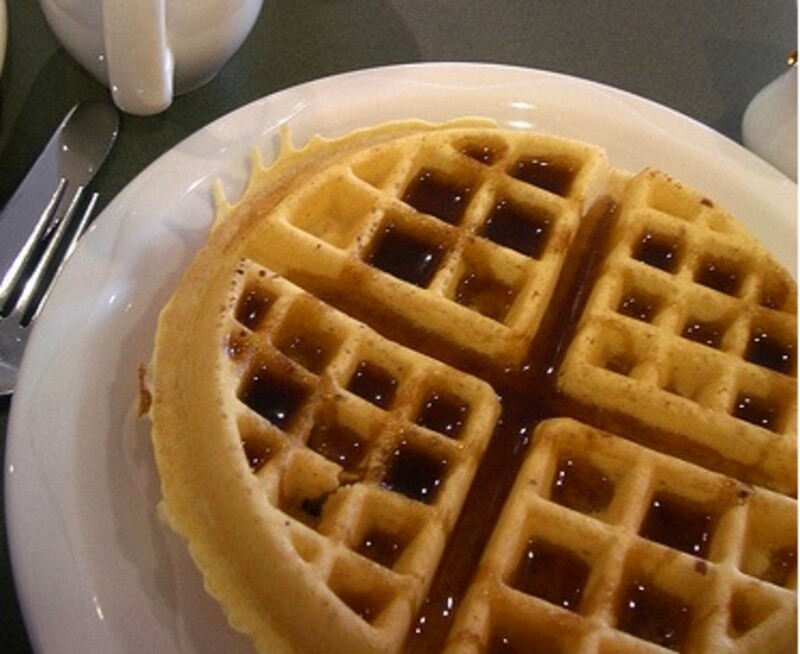 Joyce Wilson writes, "This is the first time I have tried an organic maple syrup. Being a Grade A Dark Amber already promised great taste, but being organic added to the expectations. The product has surpassed what I expected, with the warm, mellow taste that reminds me of northern woods, campfires, and the tingle of frost in the air. After being raised on the authentic flavor of real maple syrup, artificial syrups are a big disappointment; this product enlivened the taste of my Saturday morning pancakes." She did an excellent job of describing this maple syrup; I can almost taste it. How about you? Three tablespoons of blueberries is not too much. Flip your pancakes when the edges firm up and tiny bubbles have appeared. One of the foods that I have fond memories of from growing up are biscuits, buttermilk biscuits. They were always buttery and moist and just plain delicious!More recently, I thoroughly enjoyed the freshly baked, homemade biscuits that were delivered. Looking for the best banana bread recipe? You've found it! Do You Flip For Pancakes? This looks delicious! Definitely going to give it a try. I grew up in New York State with relatives in Vermont. My grandmother always had 'real' Maple Syrup (which she'd warm on the stove) for weekend pancake breakfasts on most visits. This pancake recipe looks yummy! @paperfacets: That's brilliant. My son now makes them on command for his housemates at university! My household wants me to make these pancakes all the time. Pancakes are a must in our house! Love your lens! Pancakes are my favorite! Breakfast, lunch or dinner. Oh yeah who doesn't? Gotta love pancakes of a crisp cool Autumn day, warming you up with a touch of maple syrup and butter. Yum! WE do home made sour dough pancakes (or waffles) but I have to try this recipe sounds to delicious not too! I really must try these pancakes, Brenda. 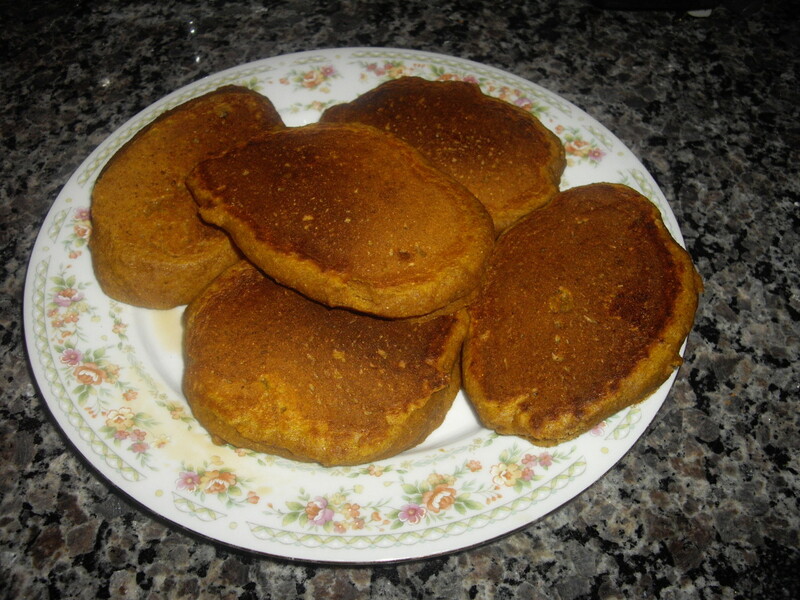 I think they are what I call drop scones, and my son loves them. I've never served them as a tower. I've added this to my Make Pancakes lens. Sure do! YUMMY and thanks! I wish I could have pancakes for breakfast every day. Great recipe! Yes, nothing will take the place when you get a craving for pancakes. Your recipe sounds very good. I'm copying it to try later. Thanks. Oh, yum. This makes me want some pancakes now. Lensrolled you over to maple syrup information. Goodness these pancakes sound great! Great recipe! It sounds so good. These sound delicious! I've been living on chocolate chip and blueberry pancakes lately....crave them all the time. I've featured this yummy lens on my Easy Breezy Brunch Recipes lens (http://www.squidoo.com/easy-breezy-brunch-recipes)... Thanks for sharing! I saw this lens last night started craving pancakes. I tried your recipe this morning. They are delicious! Thanks for sharing! These are the best ever! I tried them. Tragically, I live alone or, occasionally, with my son, but he won't eat pancakes and I can't cook them for myself alone. I love pancakes. I will just have to enjoy yours, vicariously. Thanks for the lens. Nicely done lens. Pancakes are great but I can never eat more than two. Still love to look at stacks of them. More pancake pictures please. I use buttermilk to make scones and they turn out great. Never thought to use it for pancakes. Your recipe sounds delicious and I will try it. Great lens. Yummy - I do love a good breakfast! Lensrolled you to my The Best Waffles Ever lens. 5*!! My family all loves pancakes. I pour the batter on the grill then sprinkle with frozen blueberries on top before flipping! And I use REAL maple syrup. The other kind is just sugar and tastes awful to me. Great lens, I could just eat some pancakes. 5*****. This fits in perfectly with the breakfast theme of my "Best Breakfast" lens, so I added it as a featured lens. Hope this helps. You've just reminded me that we haven't had hubby's pancakes in a while -- will remind him this weekend! Ohhh ... man, I know what I'm having for breakfast tomorrow! 5 syrupy stars! Great work! I can never get my pancakes to come out as good as a restaurant's. I've never heard of Polly's, I'll have to see if I can check them out next time I'm in New Hampshire (not too far from me). I'll have to visit your other lens on them to find out about this place. Boy do your pancakes look good! Welcome to the Hungry Squidz Choice Group. Please stop by the group and grab the blue ribbon for your lens! Another welcome addition to The Cooks Cafe group.... I will try your recipe out but I prefer golden syrup or just lemon juice on mine. Mmmmmmm! Who doesn't love pancakes? Beautifully crafted lens, and a welcome addition to Culinary Favorites From A to Z, where P is definitely for pancakes! I love pancakes, and also crepes - and blintzes! Now I'm craving ... gotta make some soon. 5*s - it's sugaring season in NH! I love pancakes, it's my hubby's job to make pancakes in our house (they're called mums breakfast in bed!). I must show him this recipe. This is a delicious recipe for pancakes. I am going to eat it dripping with Vt. Maple Syrup.Lensrolled to Flip the Pancake and Sing about Waffles.